Focus on customer success. It’s advice that comes from all walks of business, from thought leaders, to CEOs, and beyond. 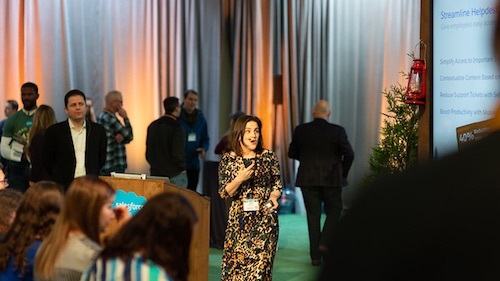 The benefits of making your customers successful are unquestioned, which is why I love hearing how customers use AppExchange apps to transform their businesses. 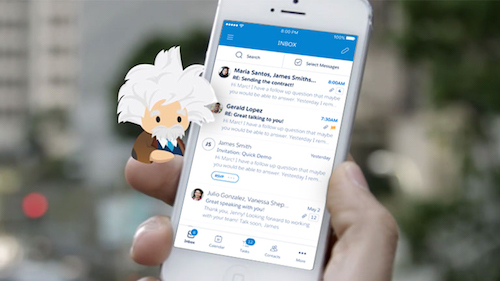 As part of our ongoing customer spotlight series, which you can see more of in this previous blog post, we regularly speak with customers who have seen outstanding results across their organizations as a result of using apps. Below are nine such examples sure to inspire you and your team. The challenge: Invictus Consulting had an outdated back office, full of error-prone spreadsheets, disparate systems, and far too many manual tasks. The results after implementing Sage Live: Invictus completely eliminated spreadsheets and established a single source of truth with a dashboard for company performance. Invictus also obtained a 30% decrease in administrative tasks. The challenge: Six Pack Shortcuts was not capitalizing on sales leads. Manual processes, long ramp times, and poor management visibility into sales data hindered growth aspirations. The results after implementing NewVoiceMedia ContactWorld: Six Pack Shortcuts saw an incredible boost to its sales performance, saving 276 minutes per day and cutting 69 days from ramp up to profitability time for new sales reps. With NewVoiceMedia, SPS has experienced a 127% increase in deals closed per day. The Challenge: Mindtree was looking to handle key accounts better, but key account data was stored in different company silos. To fix this, Mindtree looked for a single integrated platform in Salesforce. The results after implementing DemandFarm: Using the key account management features of DemandFarm, Mindtree was able to track 47% of its revenue for 22 top accounts. It also currently has a 68% adoption rate among its team, a number that continues to grow. The Challenge: For telecommunications company Telnexus, having separate systems with disparate processes prevented growth. The company needed a unified system to scale its business and provide a consistent customer experience. The results after implementing Conga Composer: Telnexus has seen a remarkable 100X productivity improvement since implementing Conga. It has transformed six separate processes to become a connected enterprise, and adoption of Conga Composer has led to highly-motivated employees. The Challenge: Weatherford had concerns over the quality of its employee technology. The company needed to reinvent its support model, and wanted to offer global support with a local flavor. The results after implementing BMC Remedyforce: Weatherford’s success story with BMC Remedyforce included a 90-day global rollout that led to $300,000 saved, annually. Additionally, through the power of Remedyforce, Weatherford automatically logged 33% of cases automatically by fast tracking resolutions. 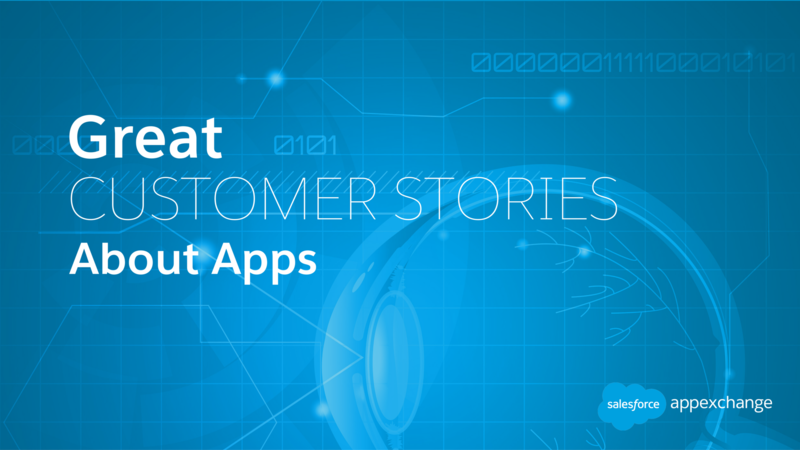 The challenge: Nick Balster at Groom Energy Solutions used evenings and weekends to enter data into Salesforce. He and his team were entering ad hoc data, which was creating consistency issues. The results after implementing Tact: Groom Energy’s use of Tact led to incredible results. Groom Energy saw a 97% decrease in time spent creating a new Salesforce record, and a 238% increase in pipeline. 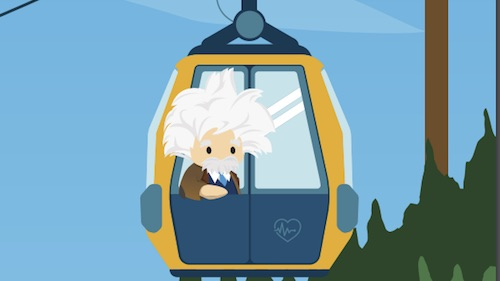 Overall, using Tact made Groom Energy 10X faster in Salesforce activities. And Balster got his evenings and weekends back. The Challenge: Donorschoose.org struggled with revenue recognition for corporate grants, and had a financial system that wasn’t integrated into Salesforce. Because of that, the organization had no visibility into grants received by its partner team. The results after implementing Intacct: With Intacct Cloud ERP, Donorschoose.org saves 50 hours per month on revenue recogntion, reporting, and accounts payable. It’s led to a 50% shorter close rate for the organization, and a 20% increase in the finance team’s efficiency. The Challenge: Cartelligent had a confusing sales process. It created thousands of service agreements that all needed manual corrections. The system was error prone and led to inefficient payment calculations. The results after implementing Drawloop: Cartelligent’s adoption of Drawloop has been company-wide; adoption rates currently stand at 90%. And the results were immediate – in the first two months, Cartelligent streamlined five major processes. Additionally, Drawloop Document Generation produced a 37% increase in productivity for Cartelligent. The challenge: Xirrus had no way to automatically select product SKUs, and instead provided quotes using spreadsheets. The complex product offerings, alongside manual data entry and calculations, made for major obstacles in moving its business to the next level. The results after implementing CallidusCloud CPQ: With CallidusCloud CPQ, Xirrus suddenly had one automated solution, all in Salesforce. Xirrus had a 90% attachment rate as sales reps adopted CPQ, and 7,000 partners used CPQ for their own deals as well.